Mercy was in short supply that year. Despite the fact that the Short Hills raiders killed no one and did very little real damage, their sentences were carried out. The British shipped Wait, Chandler and seven other Patriots with 230 common criminals to Van Diemen's Land (Tasmania) on-board the Marquis of Hastings on March 16, 1839. Their ship arrived in Hobart Town (now Hobart), capital of the penal colony, July 23, 1839. The poor food and disease on the voyage took its toll. Seven common convicts died at sea. Wait wrote that 12 men died the first weeks in the colony. That included three of the Short Hills prisoners. Chandler spent two weeks in the colony's hospital—Wait spent eight and nearly lost an arm to amputation. Franklin explained the penal colony rules: if you work hard, follow the rules, and be of good character, your period of unpaid enslavement will be replaced in a few years with a ticket-to-leave. It allowed a prisoner to work for wages but not leave the island. The date of the ship's arrival became significant. Prior to 1840, the penal administrators parceled out new convicts to settlers. The convicts provided free labor in exchange for room and board. This meant that the surviving Patriots from the Marquis of Hastings spent two years living in reasonable conditions. For example, Wait and Chandler found employment on a 2000-acre ranch—Chandler as carpenter and Wait as clerk and school teacher. Beginning in 1840, the colony assigned all new convicts to government chain gangs, where they were poorly fed and toiled long hours under terrible conditions. That fate befell all later arriving Patriot and Hunter prisoners. 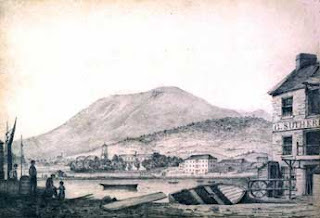 Just after Christmas 1841, Chandler and Wait obtained passes from their employer (rewards for good work), traveled to Hobart Town, rented a rowboat on the pretext of fishing, and rowed out to sea. They spent three days in anxious uncertainty until their escape ship located them. On the journey home, Wait and Chandler helped hunt whales and survived a shipwreck in Brazil. In Rio de Janeiro, another American captain agreed to take them to New York. They arrived in July 1842. Freemasons paid their train fare to Niagara Falls, NY, where they united with their families. In 1843 Wait published his memoirs as a series of contrived letters. Maria, the woman who never stopped fighting for his freedom and who co-wrote his book, died in May 1843 after giving birth to twins. Wait remarried in 1845 and moved to Grand Rapids, Michigan. He became a lumberman and founded the Northwestern Lumberman magazine in 1873. He later lost his fortune and lived on charity for his final years. Chandler settled near Jackson, Michigan, with his wife Hannah and his family (they had 13 children). They moved to Bridgeport, Iowa, in 1843, where he lived out his life as a farmer and miller. He died of kidney failure in 1866. In 1906, historians erected a monument to him near his former Ontario home where he hid rebel leader William Lyon Mackenzie in 1837. James Gammell escaped on an American ship one month after Wait and Chandler, but arrived home one month ahead of them. John McNulty and Alexander McLeod, two men who marched with Mackenzie on the first day of the Patriot War, succumbed to illnesses suffered during transport and died shortly after arriving in Tasmania. Linus Miller was pardoned and returned home in January 1846. 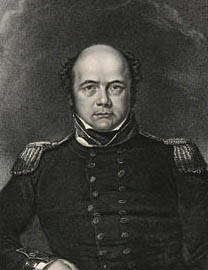 William Reynolds (a.k.a. David Deal) was released in England in 1839. David Taylor died in Fort Henry in 1838. Garret Van Camp suffered an injury in Tasmania and died three weeks after arrival. George Cooley tried unsuccessfully to escape in 1846. Finally pardoned in 1852, he moved to Australia. There is no record he came home. Of James Waggoner, John Vernon, and Norman Mallory, Linus Miller reported they were still alive and well when he departed Tasmania in September 1845 but there is no record of them coming home. John Grant left on a whaler with Daniel Heustis and others in January 1845 and arrived home in 1846. Jacob Beemer, called a traitor in books by Miller and Wait, remained in Tasmania. In 1848, at 34, he married Ann Walker, 18, (despite having a wife in Canada). They had three children. After she died, Beemer married a second time and sired two more children. He never went home. Notes from Letters from Van Dieman's Land, 1843, by Benjamin and Maria Wait. The James Gammell Chronicles, an excellent history blog written by a descendant.